DT. JUGENDCHAMPION, LANDESJUGENSIEGER MECKL.VORP. 2007 Vienetto Von Der Old´n Aue - "Joshi"
Title: Deutscher Jugendchanmpion VK, LJS Meckl.-Vorpommern 2007. 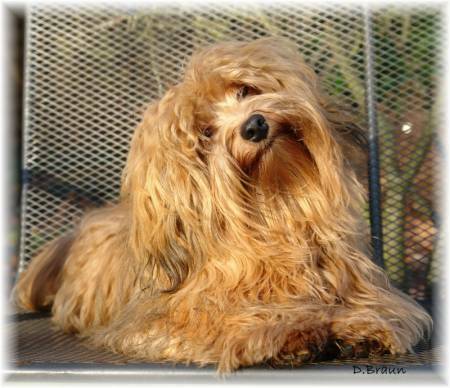 Joshi is the clown, the entertainer and the good soul of his havanese-family. He is a vivacious boy and always has very good ideas for playing, he is a lovely friend for all!